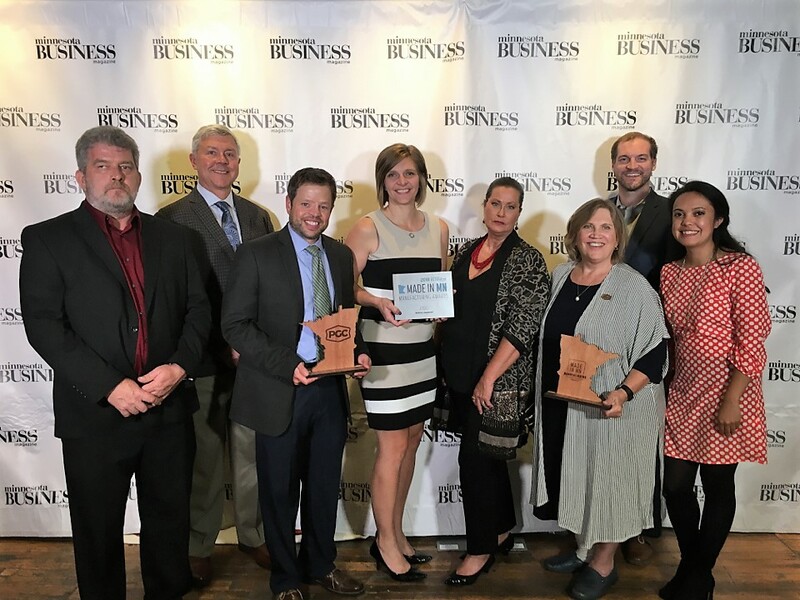 Edina, Minnesota—PGC is very excited to win the Workforce Engagement category of the 2018 Minnesota Business Magazine Made in Minnesota Manufacturing Awards. The award was presented on Thursday, September 20, at the Machine Shop event space in Minneapolis, Minnesota. Winning a category of the Made in Minnesota Manufacturing Awards is a great honor. It recognizes the outstanding job PGC does supporting our employees, from creating a healthy workplace culture to taking steps to improve job satisfaction. To learn more about the award or the custom solutions PGC offers, contact the PGC team at (952) 942-6711 or online at pgc-solutions.com.